Khayelitsha All Stars come out with a smashing Jay Tip produced hit from their first ever mixtape titled 'Respect The Code ', due to drop soon. 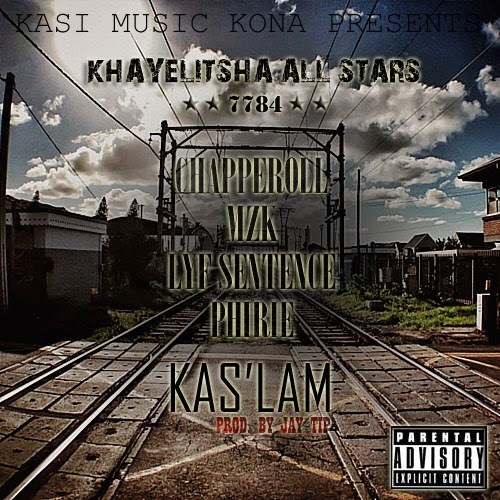 The song is titled 'Kas'Lam' and on the the song, there's Chapperoll who never seem to disappoint on hooks, there's MZK, Lyf Sentence & Phirie who dropped very tight bars to give the song some life.The song was recorded at Kasi Music Kona Studio's and was entirely mixed and mastered at Backyard Record's studio by Mashonisa. Khayelitsha All Stars will soon be dropping their mixtape and a music video of an unreleased song titled 'Sungxama' produced by Bronze all the way from Congo.